I think it's safe to say, as children, and for many to this day, we look upon the flying creatures of this planet with a degree of empathy. Fortunately, we live in an era with unprecedented technology. With proper equipment and training, you can make centuries of human dreams a reality! Flydaho, uses Lane Lamoreaux, an USHPA certified instructor, advanced pilot (P-4), and Tandem Instructor (T-3) to teach you what it takes to smoothly soar with the eagles and hawks. 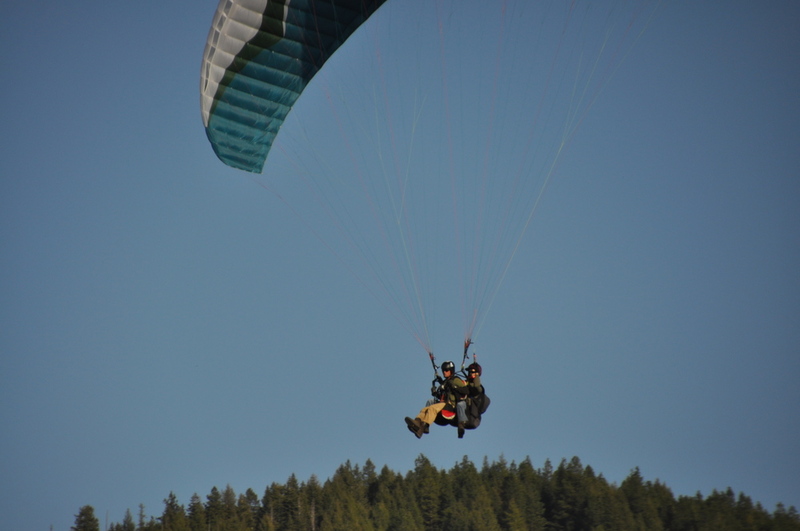 USHPA (United States Hang Gliding Paragliding Association), governs and ensures the future of free-flight. The organization sets requirements and standards based on FAA (Federal Aviation Administration) flight requirements and policies (http://www.ushpa.aero/aboutus.asp).